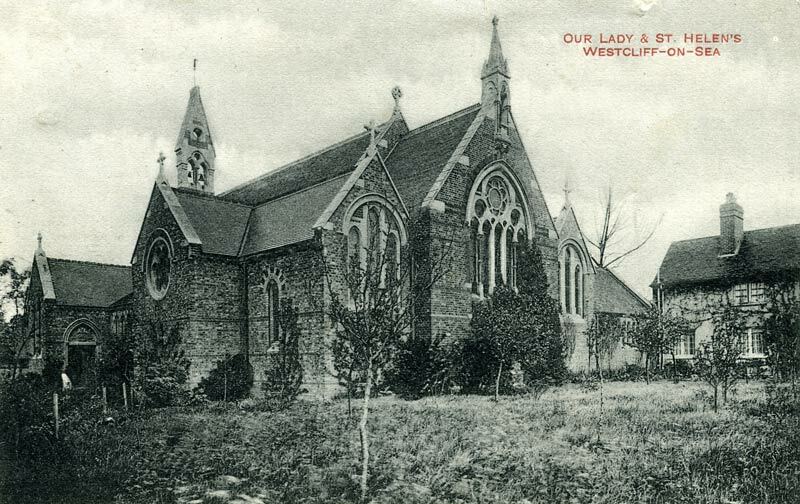 St Helen's Opens - Westcliff-on-Sea gained a new Catholic church when the Archbishop of Westminster opened the church in October 1869. Located on Milton Road it is an impressive building designed by architect W.J. Goodman. the first parish priest to serve this church was Father John Moore. Hamlet Mill Demolished - It is hard to believe now on the corner of Avenue Road and Park Road sat a full scale operational windmill which could be traced back to 1299 when it is recorded a new mill was built at this point at the cost of £15 5s. 10d. It was here that John, Earl of Holland, half brother to Richard II, was captured by the villagers of Milton while trying to escape after an unsuccessful plot against Henry IV. Avenue Road indeed was originally called Mill Lane and is one of the oldest roads in the borough. Milton Hall Estate Sold - One of he oldest buildings in Southend was sold as part of the Milton Estate in 1869. The Hall was originally bought for a school but it was not long after that it was acquired by the Sisters of Nazareth, who ran it as an orphanage and more lately a home for the elderly. The Hall has now virtually disappeared through all the additions that have been made to the building. Interestingly in the crypt lie the remains of Clement Scott (right) a celebrity of the stage during the 1890's, known for authoring the song "The Garden of Sleep", also the remains of Bishop Bellord a war-tried army chaplain.